The Check Files command verifies the integrity of the drawing and palette files in your project. ‣ In the top menu, select File > Check Files. 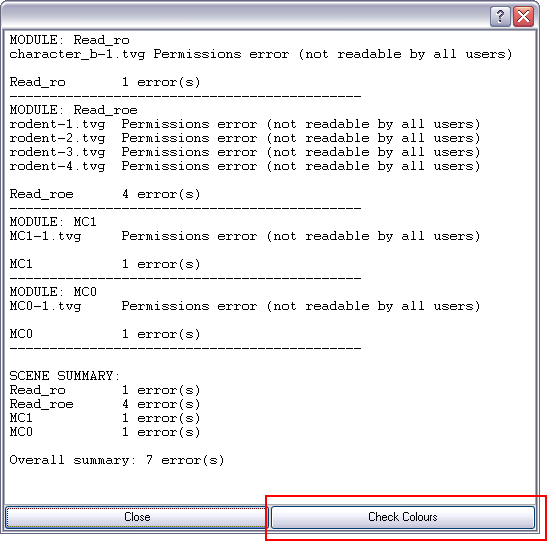 Use the Check Files dialog box to verify that the data is consistent, correct, and accessible. • Click on the Check Colours button to open the Check Colours dialog box. 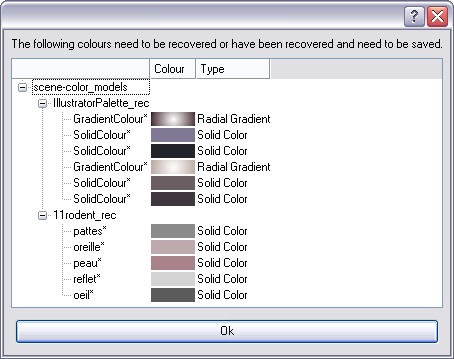 The Check Colours dialog box checks the palette integrity and displays the colour recovery data.